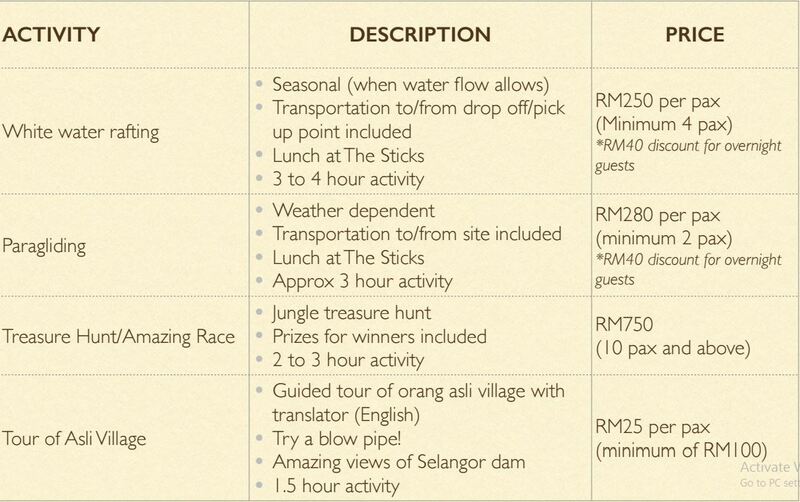 The Sticks eco-resort and glamping site is located next to Sungai Meranti, an excellent place to cool off! If you want to venture off the grid, check out The Sticks, a new eco-resort tucked away in the rainforests of Kuala Kubu Bharu in Hulu Selangor district. After a one and a half hour drive from Kuala Lumpur, it’s a little adventure getting to this hideaway from the main road. Following a 10-minute jungle trail, visitors must cross a hanging bridge over a shaded and shallow stream. Alternatively, one can hop on the 4X4 pick-up truck used to deliver guests’ luggage to the resort. Take a short jungle walk over a hanging bridge from the main road to the resort. Camp in comfort and style at the resort’s “tendok” glamping huts. Built on a former tin mining site, this modest but well-designed resort was built with environmental sustainability in mind. The resort facilities were constructed with minimal clearing of the surrounding rainforest. 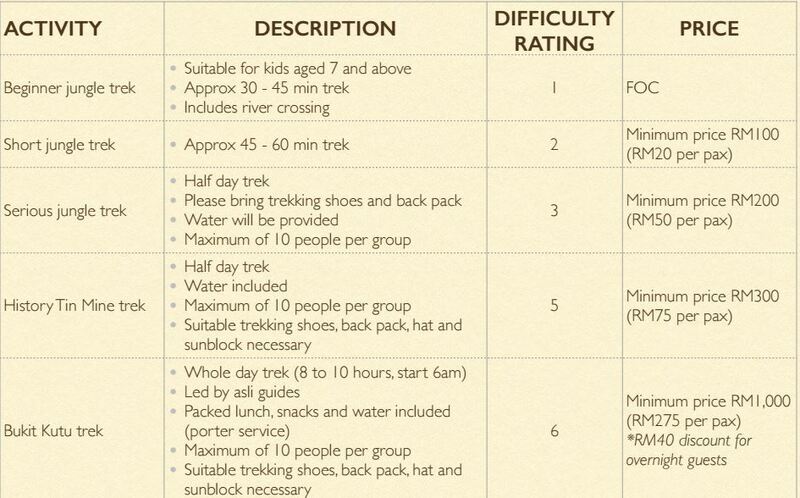 Accommodations are powered with solar energy and supplied with water from the nearby stream of Sungai Meranti, which is a great place for seek refuge from the midday heat. The resort offers chalets and glamping huts called tendok (a portmanteau of tent and pondok or hut). Staying at a tendok, I was concerned about mosquitoes but I wasn’t bothered by any in my sleep. As I matter of fact, I had a good night’s sleep, thanks to the soft and comfortable mattress and pillows. Now that’s camping in comfort and style! Despite the resort’s relative isolation, the meals offered during our stay were exceptionally good. Served at the open-air dining area near the resort entrance, we enjoyed home-style dishes like chicken curry and deep-fried squid that were simple but tasty. Breakfast was equally enjoyable, too. The Sticks also has chalets and bungalows for extra comfort. The following rates are applicable until August 2016. 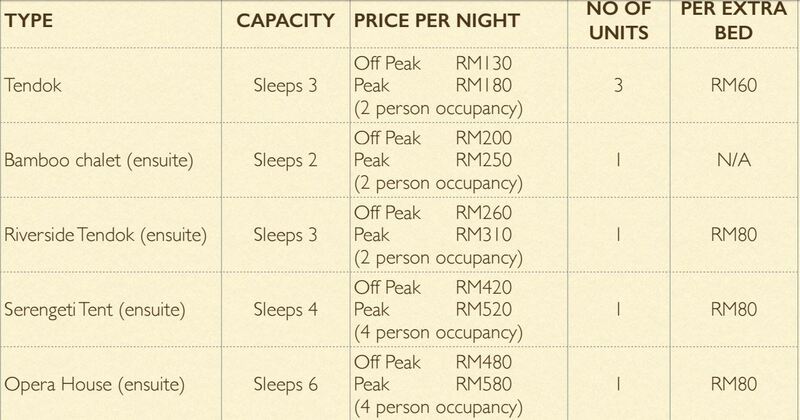 Aside from accommodation, the resort also offers jungle hiking and other adventure activities in Kuala Kubu Bharu like white water rafting and paragliding. I’m planning to do a glamping trip this year & this place looks really suitable for an overnighter! Yes, this makes for a great weekend trip from Kuala Lumpur! Do you think this eco resort is child friendly? Hi there. Could you please remove the phone number listed here? It’s not our booking number!